The RV Gourmet: What's So Good about a Pineapple? What's So Good about a Pineapple? subject of today's post, the simple pineapple. Actually there are several reasons that the pineapple is unique and NOT so simple. It probably initiated from Brazil and Paraguay and eventually made it's way to the Caribbean where Columbus "discovered" it and brought in back to Europe. 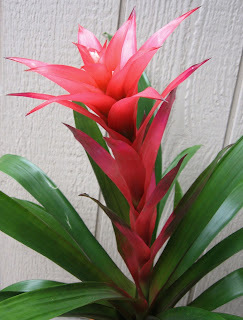 It's a member of the bromeliad family and only produces one fruit in it's lifetime. 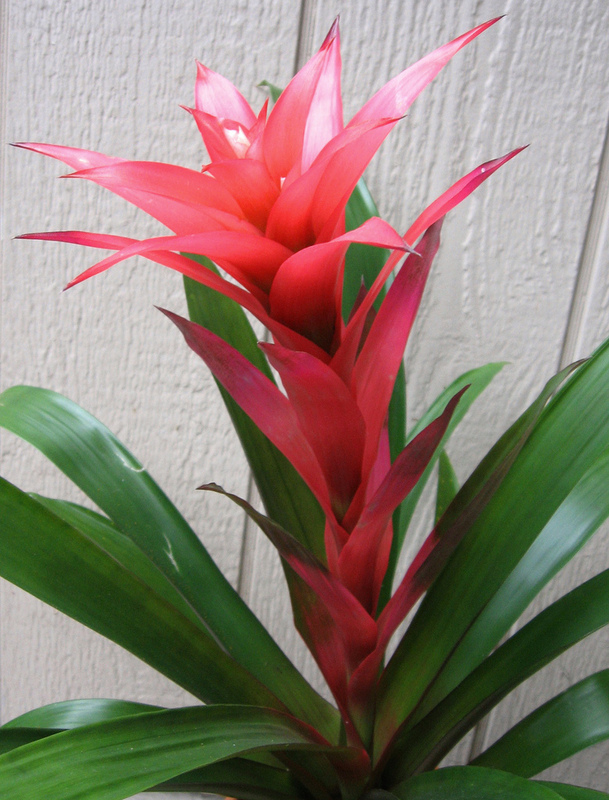 It is extremely rare that bromeliads produce edible fruit. The pineapple is the only available edible bromeliad today. It is a multiple fruit. One pineapple is actually made up of dozens of individual flowerettes that grow together to form the entire fruit. Each scale on a pineapple is evidence of a separate flower. According to my research pineapples stop ripening the minute they are picked and no special way of storing them will help ripen them further. It seems to me that as they sit on the counter they tend to get sweeter but all I've read says this is not true, How can you pick a ripe one? Color is relatively unimportant in determining ripeness. Choose your pineapple by smell. If it smells fresh, tropical and sweet, it will be a good fruit. After you cut off the top (or better yet twist it off), you can plant it. Choosing a Pineapple: The pineapple that you have chosen for growing at home need to be brownish in color; leaves must be green. 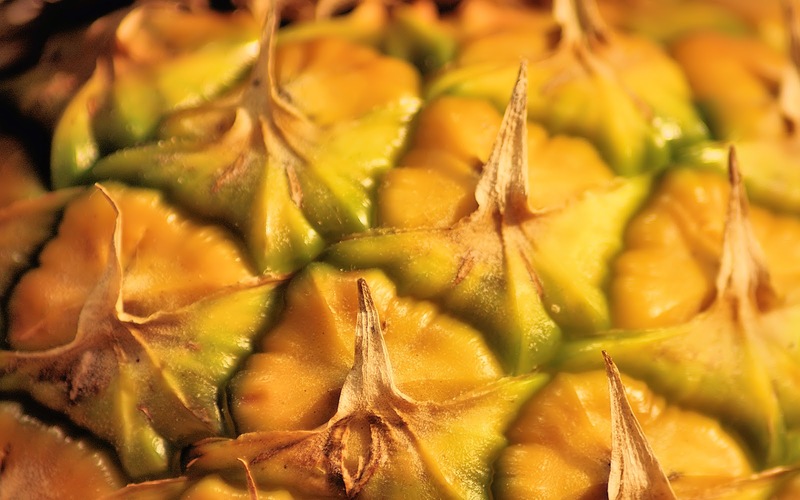 Avoid using pineapples that have yellowish leaves. 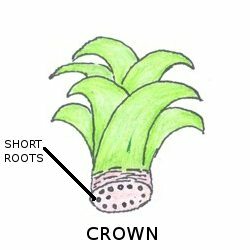 Preparing the Crown for Rooting: The pineapple plant is commonly cultivated from the crown. It is advisable to pull off the crown from the fruit by twisting it; this way, the crown comes out clean without any flesh adhering to the base. Removing the lower leaves reveals the base of the crown. You may find a few short roots at the base. Rooting: The process of rooting requires the crown to be kept immersed in water for about 3 weeks. You will have to replace the water in the container regularly. 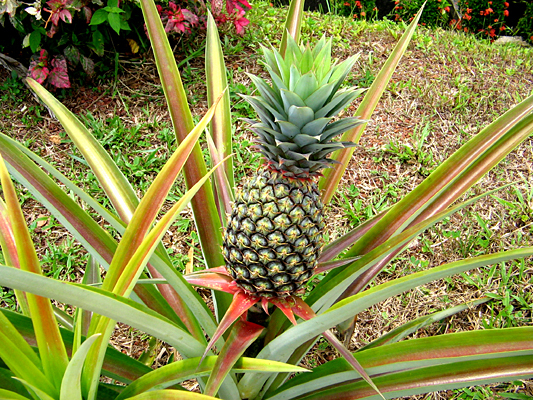 Planting: The process of planting the pineapple crowns begins with selecting a proper soil medium for its growth. Also, the layers in which these media are arranged holds great importance. For example, the bottom layer is formed of pebbles which allow proper drainage of water. Above this layer, you should spread soil that is mixed with a medium like perlite. Crown should be planted in this layer of soil and then the soil watered. It takes about 6 weeks for the roots to gain hold in the soil. By the end of 2 months, the pineapple plant gets firmly rooted in the soil. It is valuable for easing indigestion, arthritis or sinusitis. Bromelain is also considered an effective anti-inflammatory.Regular ingestion of at least one half cup of fresh pineapple daily is purported to relieve painful joints common to osteoarthritis. It also produces mild pain relief. Fresh pineapple is high in Vitamin C and because of the Bromelain, it has the ability to reduce mucous in the throat. It is commonly used in Europe as a post-operative measure to cut mucous after certain sinus and throat operations. An old folk remedy for morning sickness is fresh pineapple juice. My daughter-in-law said it really works! Fresh juice and some nuts first thing in the morning often make a difference. 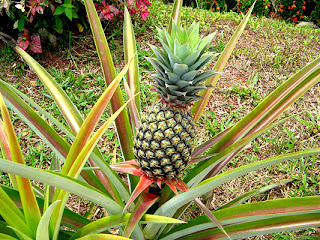 So, no matter how you cut it up, juice it or add it to salads and other cold dishes, fresh pineapple is a miracle fruit. No wonder we like it so much. Let's put together some favorite recipes with ineapple to celebrate this tropical delight. You can add your favorites in the comments or send them for future publication to info@HiddenValleyRV.net.